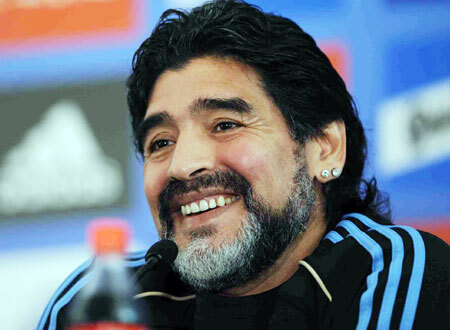 Argentine football legend Diego Maradona has apologized to Real Madrid's Sergio Ramos for their recent statements. Maradona said in previous statements that Ramos was not a star, and he considered Diego Godin, the Atletico Madrid player, better than him. "If Sergio Ramos wants it, I will apologize, but I will not change my thinking. He is a great player and a great leader, but to me he is not a star," he told Marca. "For me, I do not care what Ramos says, so if I'm upset, I apologize to him but I'm still thinking the same way." He continued: "There is still a chance to be this World Cup is the World Cup Messi." "I like Mexico a lot, as well as Uruguay, and the Belgian team has done great," he said of the group stage. "He was a coach for the team and he represents all the Spaniards. What he did was disrespect, but it is a courageous and justified decision," he said. "Iniesta is a great player, and Xavi is also very great, and I hope they will go beyond what happened to them with Lopegeti," he said. "I'm a fan of Khaya, although he has two goals, but he is a great goalkeeper, and Diego Costa is like a warrior," he said.